Not Just Numbers: What are your Excel New Year's Resolutions? What are your Excel New Year's Resolutions? 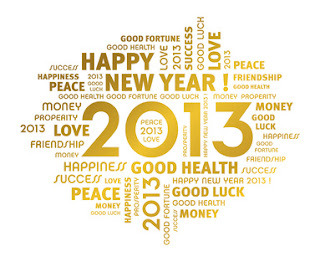 I'd like to take this opportunity to wish all of my readers around the world, a very Happy New Year. To those of you in Australia and New Zealand, whose New Year's Day will already be coming to an end, to those in North America, some of whom will still be out celebrating New Year's Eve, to those of us in the UK just waking up with hangovers, and to my readers in every other country of the world, I hope this brand new year brings you everything you hope for. But coming back to Excel, what are your Excel-related plans for the new year? What changes do you plan to make in how you use Excel, to get more out of it in 2013? I'd love to hear about them in the comments. I will learn how to import data using ODBC. Develop a series of video training courses for those of you who want to learn in more depth than a blog post allows. Thanks for all of your contributions in 2012 and I look forward to working with many more of you in 2013. Don't forget to leave your resolutions in the comments! Why do I need pivot tables? - and a song!